The installation of the barriers in Giles Lane car park began Thursday 3 January (unfortunately delayed from previous update due to unforeseen circumstances). Please be aware that workmen may still be in the area. Access points to and from the car park will be maintained. 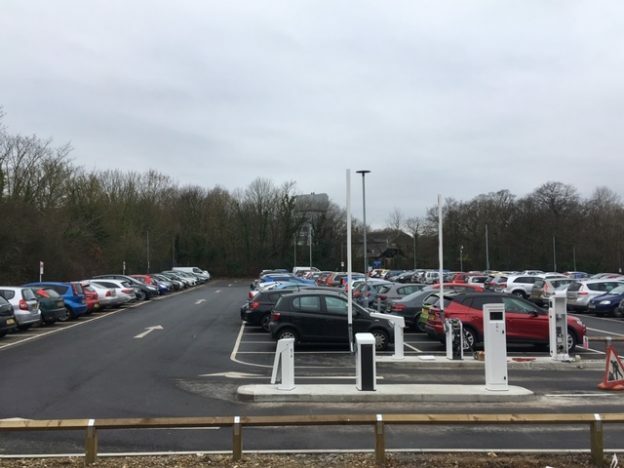 This entry was posted in Giles Lane changes, News and tagged barriers, Giles lane car park on January 9, 2019 by Miriam Sandiford. 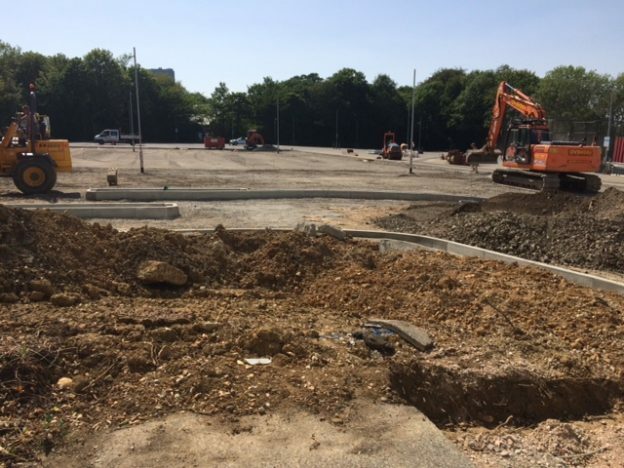 Work on Giles Lane car park has been progressing well. 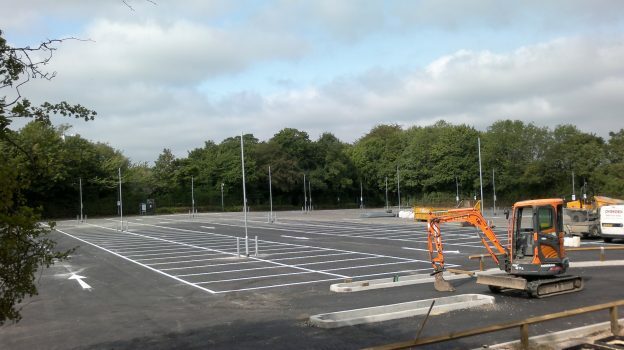 The car park is now lined and low level fences have been installed. 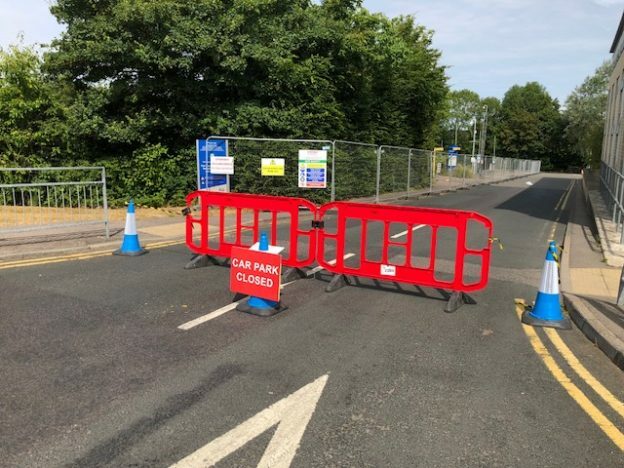 We are waiting for the Automatic Number Plate Recognition (ANPR) barriers to be delivered and installed and to receive the associated ANPR software. Giles Lane car park will be reopened (without the ANPR barriers) this weekend to assist with bOing festival. 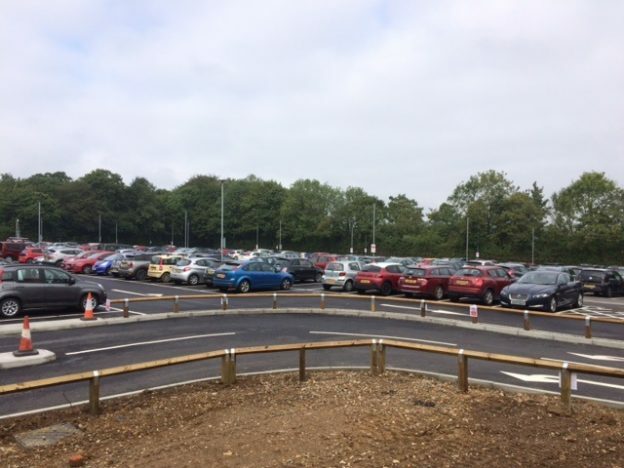 Final adjustments may be required in the car park following bOing, so the car park will be officially open to pink permit holders from Wednesday 29 August. Temporary signage will be in place. 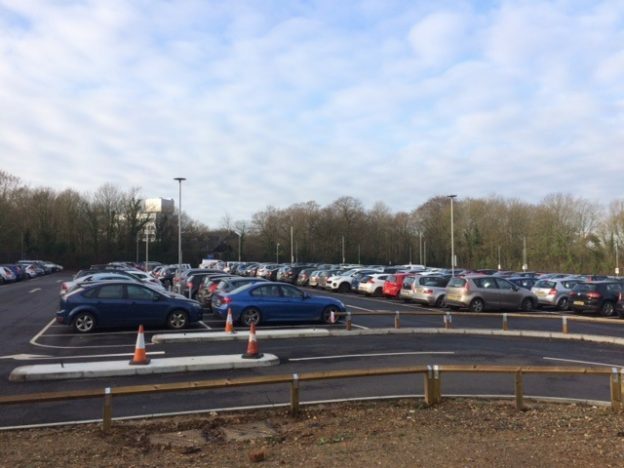 The design of the car park is two lanes of traffic in and out. 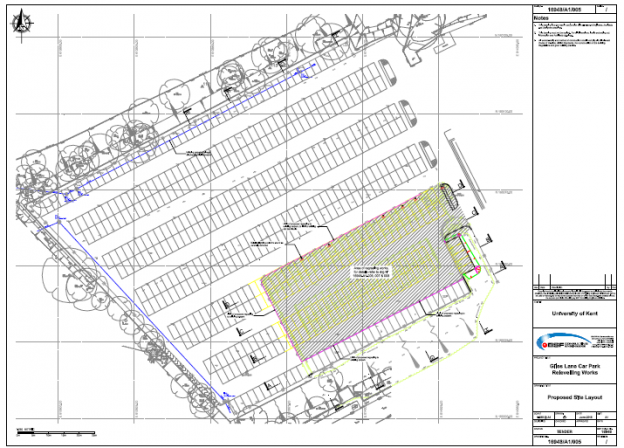 The design of the car park directs drivers in a zig zag format around the car park to manage the one-way traffic flow. Please see image of design. 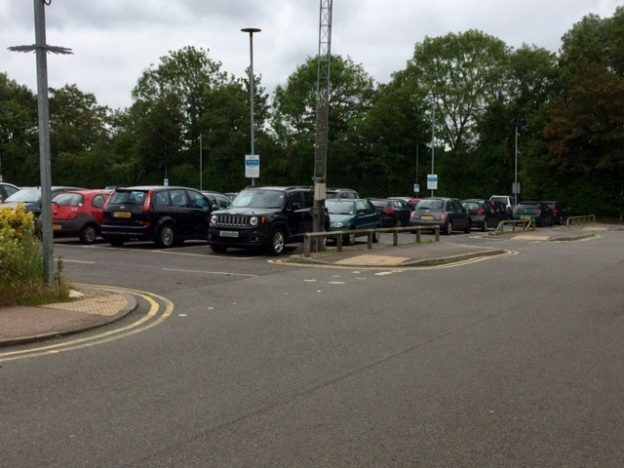 The overflow car park will be closed once Giles Lane car park reopens. This entry was posted in Giles Lane changes, News and tagged Giles lane car park on August 22, 2018 by Miriam Sandiford. Work on Giles Lane car park is progressing well. The main curb lines have been installed and tarmacking starts this week. 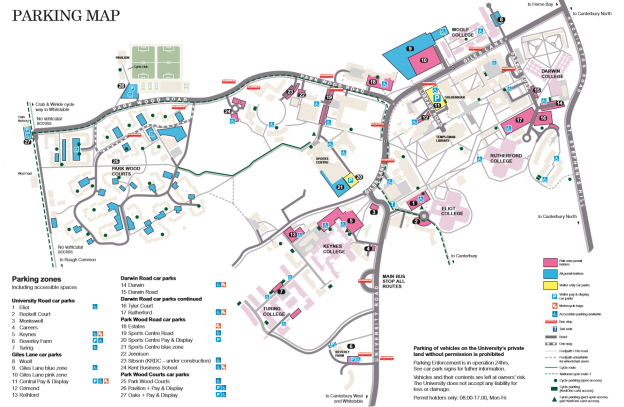 A large conference group (Canterbury Retreat) are leaving the campus on Wednesday 8 August, therefore more parking will become available within the Park Wood Courts car parks. See our interactive parking map for information on parking zone and capacity. This entry was posted in Giles Lane changes, News and tagged giles lane update on August 7, 2018 by Miriam Sandiford.